Racially mixed children make up the fastest growing youth demographic in the U.S., and teachers of diverse populations need to be mindful in selecting literature that their students can identify with. This volume explores how books for elementary school students depict and reflect multiracial experiences through text and images. Chaudhri examines contemporary children’s literature to demonstrate the role these books play in perpetuating and resisting stereotypes and the ways in which they might influence their readers. 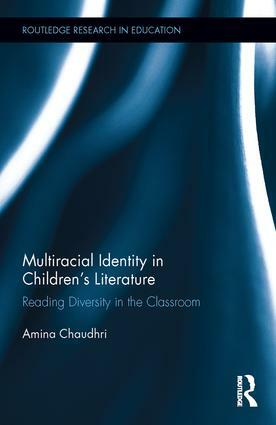 Through critical analysis of contemporary children’s fiction, Chaudhri highlights the connections between context, literature, and personal experience to deepen our understanding of how children’s books treat multiracial identity. Amina Chaudhri is Assistant Professor of Teacher Education at Northeastern Illinois University, USA. This series aims to present the latest research from right across the field of education. It is not confined to any particular area or school of thought and seeks to provide coverage of a broad range of topics, theories and issues from around the world.